Calling all beer lovers out there, it's time you became acquainted with HonestBrew. The answer to all your craft beer cravings, now you can keep your relationship with this old time favourite snifter going strong. A concept first brewed by two beer enthusiasts, Frank and Andrew - while they started out with little know-how - they soon acquired a cask full of brewing expertise from a savvy bearded man, also known as Craig. HonestBrew was created. Born to let you revel in handpicked craft beers by the caseload - HonestBrew puts you in touch with epic IPAs, ales and strouts with a variety of personalised subscription boxes and gifts to enjoy. With hundreds of different craft beers on tap, coming from the best brewers far and wide - whether it's a UK pale ale or an Italian IPA that you fancy - you'll enjoy a top-notch tipple here. From its core beer offering to seasonal and special brews, the craft beers you'll receive are chosen for their freshness and for the quality of ingredients used, so that HonestBrew can guarantee you an outlandish experience in every sip. Revolutionizing the subscription box service like never done before, this is your chance to discover unique flavours that will tantalise your every taste bud. In short - roll up strout, cask beer and pale ale lovers - it's high time you whet your whistle with an HonestBrew. How do I use my Honest Brew discount code? When you subscribe to HonestBrew, you’ll get 10% off on the Bottleshop. We’re not sure what you’re waiting for! Are there any gluten free beers at HonestBrew? Yes, you can find gluten-free beers and even vegan beer options at HonestBrew. Yes, potentially one of the best gifting options, from beer subscriptions to vouchers and more, take your pick online. 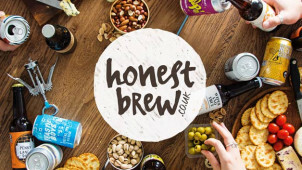 How can I get my hands on free HonestBrew beer? We thought you’d want to know, HonestBrew has its very own share for free beer page and should you refer a pal to the Honesty Box service, you’ll get an extra 4 craft ones if they sign up. Delivery is included with Honesty Boxes and Pick & Mix orders over £50. Prices otherwise vary between standard and express shipping, do check online for more details. You can cancel your subscription by logging in to your account at any time, you will still be able to access your Beer Credits unless you request otherwise by email. Take care when lifting your cases, should you receive a broken bottle (very rare), don’t fret as you won’t be without beer for long, just get in touch with the team. For every beer lover and want to be craft connoisseur, HonestBrew is your ideal partner in crime! Bringing thirsty customers 100s of different craft beers to taste from independent producers, don’t wait to use an Honest Brew discount code to let you save on your favourite tipple today. With HonestBrew, you can look forward to regular quality beer tasting. So forget the mediocre stuff - there’s a lot to discover in an HonestBrew box! There to guide you in all aspects of great craft beer, you can even access the exclusive Beer Bible online with HonestBrew. Perfect for all beer fanatics to broaden their knowledge of craft beer, these pages are bubbling with information that you won’t always find down the pub! From ale know-how to stout stigmas and much more - this is a truly comprehensive beer guide. With an Honesty Box subscription, you can get truly flexible beer tasting. This is one delicious craft beer subscription which will get you a dozen different beers in every box, when you want it, and always with freshness guaranteed. Get on board with an Honest Brew voucher to let you save on this one-of-a-kind subscription. With no strings attached on boxes that are tailored to your own taste profile - whether you like a pale ale, stout or other – here you’ll be in hop heaven.